What’s New with our Tick Trade App? 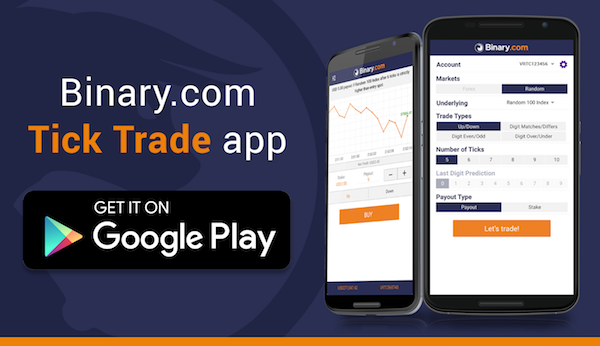 Have you experienced the speed and mobility of trading through our Tick Trade App yet? Now there are even more reasons to give it a try. 1. Forex has been added. Trade a full range of binary options for currency pairs in just seconds, even while on the move. 2. Asians option added. Trade Asians in just seconds. 3. Login is now even easier. Simply enter your username and password to access the app. 4. Three new languages available. Russian, Portuguese and Vietnamese languages are now available to cater to a wider audience. 5. Other improvements have been made. Enjoy a smoother trading experience through a number of recent fixes. Download the Android app for free now on Google Play. Please note that the Tick Trade App is not available in all countries.